« What Does it mean to be Baptized into Christ? Listen to a recording of Sister Cora Sumdbom telling her story of experiences at the Bethel in the days of Pastor Charles T Russell and the early days of the Watchtower Society. She talks about the brethren’s meals, discussions, studies, work and interactions with each other and with a kind, gentle, funny, engaging, warm and loving Pastor Russell. Did you know that Pastor Russell would sometimes carve the meat for dinner at the Bethel? He would often joke around with the brethren, always trying to create a loving, friendly, encouraging and spiritual atmosphere. Sr. Cora then goes on to explain how J.F. Rutherford was so easily able to take over the Society due to his swiftness of action and the TRUST the brethren all had for each other. Nobody believed it possible that a fellow brother would act in deceit and treachery to seize control of the Society. She explains how Pastor Russell bequeathed his controlling interest in the stock of the Watchtower Society to three sisters and how J.F. Rutherford prevented them from voting. She explains how Bro. Richie, the Vice President, was prevented from taking control of the business meeting electing the next president and why he did not take the matter to court. She then goes on to discuss how she and her family were disfellowshipped by J.F. Rutherford and how the brethren regrouped and reorganized into today’s Bible Student movement. Sister Cora Sumdbom, Brother Baker and others testified that Brother Russell had quietly dismissed J.F. Rutherford from the Watchtower in 1915 for indiscretions unbecoming of a Christian. Brother Russell was a compassionate gentleman who did not want to destroy Brother Rutherford’s reputation, so very few were aware that he had been expelled. 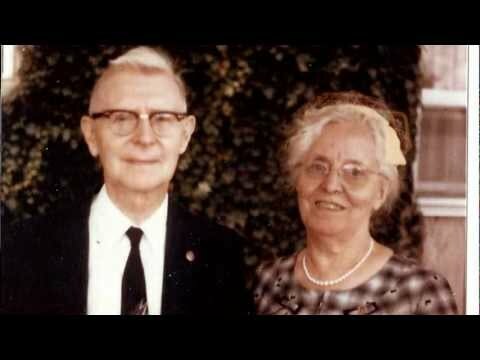 Enjoy hearing Sr. Cora Sumdbom’s personal recounting of Watchtower history. After clicking on the above link, allow a few seconds for audio to begin. Thanks for making this recording available. Sister Sumdbom’s enthusiasm is contagious and her detailed reporting was terrific. She lived a worthwhile life. I will try to search for “Brother Baker” later today, for it is clear that he has lived — probably in the United States. Best, Poul Bregninge, Denmark. Poul let me get in touch with Br. Peter and see if this is who I think it is. The Chicago class has still living a few from long ago who were kids but he is best able to answer you. I will alert him now. This information was passed down by word of mouth. Bro. Russell did not want to ruin anyone’s reputation. He often wrote against the practice of gossip and evil speaking. “Love covers a multitude of sins.” Very few Bible Students knew that Joseph Rutherford had been dismissed. Some Bible Student sisters that cleaned rooms in the Bethel on numberous occasions found in Br. Rutherford’s room empty bottles of alcohol and women’s undergarments. I persoanlly knew Bro. Ken Thomas, in his 90s when I was in my 20s. He lived in Palm Desert California and told me that his wife was best friends with Sr. Rutherford, who cried and sobbed that her husband was a drunk and with prostitutes. Henry, I mix myself in the discussion. There must be a lot of analysis work, empathy and, of course, witnesses from simultaneous people who witnessed the events surrounding Rutherford’s power takeover from 1916 to 1919. The four in the group, as JFR fired, Hoskins, Wright, Hirch and Ritchie , threatened his choices. JFR was authoritarian and removed all who threatened his position. I have in detail written about throughout this period in my book, Judgment Day Must Wait. One must have empathy and intuition to write the story. It does not mean that you only have documents, if you do not have the ability to put yourself into the story. History writing rests not only on what you can document with documents, but especially on the ability to see behind things. The idea that Jehovah had shown someone is purely hysterical! Both Russell and JFR had presented and chosen themselves. Best, Poul Bregninge, Copenhagen area, Denmark. Although brother Russell left a will with regard to the watchtower and bible association, it’s actually Jehovah’s will that is important and the direction in which he felt things needed to go. I am not totally sure if Jehovah was directing Brother Rutherford, but we can all be sure that Jehovah’s will would be carried out, and eventually the truth be known. I know this is only my opinion, but, I believe our Father, Jehovah, could see the direction that Rutherford was going to take the movement and that is why the Bible Students left and are still active today. With the information age we live in, the JW organization cannot deny the Bible Students any longer and the direction that Jehovah has taken with his children. Hi Chuck I hope you are well, I do feel strongly that Jehovah God has other children too, those who may not be affiliated bible students like yourself but who are at the same time studying God’s word & try to walk in the ways of Christ’s teachings & His exampes. My apologies. I did not mean to insinuate only “Bible Students” are His children. I meant that his children are not just in the JW organization. I agree 100% with what you just stated! There are so very many parts to the body. Each necessary in their own way. It would make sense that our Father would need “individuals” as He sees fit. Hi Chuck, no probs, thankyou for your reply, I agree there are certaily ones who are not within the Watchtower/Jw organization that are God’s children. In showing how struggles happened in Bible times. I pose the question. With the four in the group, Hoskins,Wright,Hirch and Ritchie. They along with P.S.L. Johnson decided to do the work in carrying on the message. They would soon have a falling out. And Wright was up in age and passed in 1920, while the other three went their separate ways and all passed in the 1940’s. So who did Jehovah suport? Well Jws continue going almost 100 years later. But again the question. Those four in CTR’s will. They had a falling out the work stopped. So if God was involved the work Rutherford took is still going, and yes he passed in the fortys also. If one saysGod didn’t use Rutherford but used CTR that is one possiblity. But it is obvious he did not use the four in the will. So then we have , the work stopped at the Pastor’s death. And God is gone. Thanks Peter, I found a complete copy of Ken Rawson’s booklet – very informative. I’m still digging, will let you know if I find anything new. Will let all readers dicide if Russell ousted Rutherford. Thanks for making this available. Nothing like hearing eyewitness accounts! However, there is no mention on the audio of Russell dismissing Rutherford in 1915 for any reason whatever? I downloaded the file, and the last 4 minutes are ’empty’ Is the file perhaps damaged? Also, is there a transcript available? Frank – I do remember her talking about JF Rutherford being dismissed. Also, Brother Ken Rawson, still alive, had discussion this with early brethren, like Brother Baker, who new Brother Russell. They indicated that Brother Russell had dismissed JF Rutherford for indescresions, but kept it quiet so as not to publicly embarrass him or ruin his reputation, giving him time to reform. So when Rutherford came to Bethel after Brother Russell died, most brethren figured he was coming to take care of legal matters, never imagining that a fellow brother would be conspiring against brother Russell and the Bible Student movement in a hostile takeover move.